Holding some real gold in your hands is something that matches only few other things. There are various advantages of owning real gold, which one cannot get through other investments. Gold not only offers you authentic protection in the stock market, but it is a strong means of diversification of assets. If you want to get acquainted with the various tips and tricks to making a solid and secure investment, read on further to find some experts guidelines why gold coins are a great option. Tangible and lasting: Buying gold coins can give you benefit beyond its profit you can get from a price hike. Gold is a tangible asset. It is hard to find any other investment where you can hold $ 50,000 in your hands. Moreover, gold cannot get destroyed through various elements like fire, water, and also time. You do not need any other commodity to support gold; like property needs maintenance and agriculture investment requires regular fertilizer and livestock need feeding. No risk from counterparts: A paper contract in not required for investment in gold. Gold is the only financial asset that is not available from another entity. Moreover, you do not need any backing from the government or the bank. 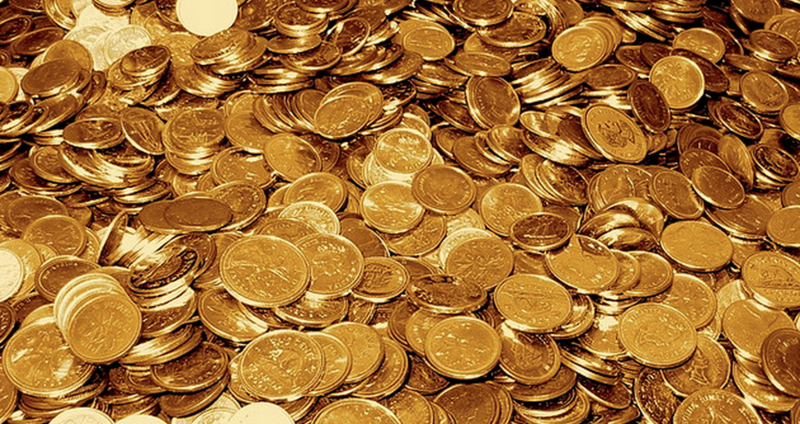 A liquid form of investment: The gold coins can be used in any part of the globe. One can reach out to gold dealers in almost every major city of world. During a crisis, the demand for gold is going to rise. While other commodities like artwork would have a small customer base and can take a longer time to sell, gold can find many buyers within a shorter span of time. Dense value: When you buy gold coins, you have a high-value commodity that can be stored in a small space. It is not surprising that one can hold $50,000 worth of gold coins in hand. Usually, one can stack gold coins in a safe deposit box to store a high-value asset. Stacking bundle of dollars in the same space wouldn’t match the value of gold. Portable and private: You can take your gold coins along on your international tours. Gold coins allow you to maintain a greater degree of privacy and confidentiality than other assets. Long term value: Though there may be a variation in gold price, it has timeless value. While even the US dollar has lost 98 per cent of its purchasing value since it was first established in 1913, gold has greater chances of retaining its value. Moreover, the value of gold outlast one’s lifetime, thus, it is an ideal asset to pass in inheritance. Gold does not get used up like oil or edible products. Thus, gold is money. As gold is not a digital form of wealth, it cannot be erased or hacked. It is safer to store wealth in the form of gold coins. For purchasing high-quality gold, one does not need any great knowledge, like it may be required for buying diamonds. It does not weigh you down with maintenance costs and taxes like real estate investment. However, it is imperative that you buy your gold coins from a reliable and reputable seller.